A Superior method built for the integrity of your foundation. WHY USE STEEL PIERS TO LEVEL YOUR HOUSE? The Steel Pier Foundation Repair Method provides a permanent solution to foundation problems. 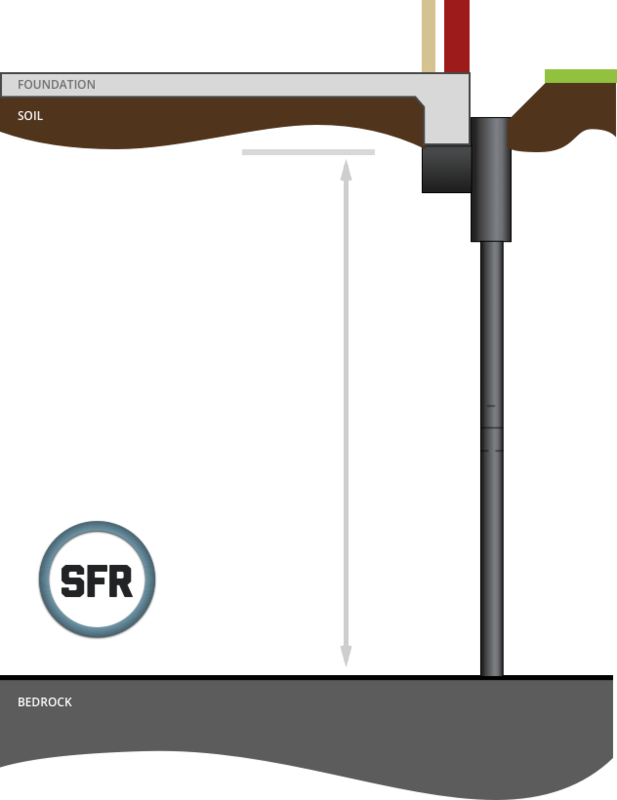 Superior’s steel piers are supported by bedrock rather than expansive soil. In Central Texas, the soil underneath the house is constantly shifting which can cause cracks in walls and flooring, sticking doors, and sloping floors among numerous other problems. By driving down to bedrock, the foundation of a home is secured to a stable support surface which counteracts the effects of shrinking and swelling soils. WHAT CAUSES SLAB FOUNDATIONS TO FAIL? Sometimes during the design and pouring of a slab foundation mistakes are made, the foundation is improperly prepared, or designed incorrectly. Soils in Central Texas expand or contract more than expected due to extreme weather conditions, oftentimes causing the foundation to fail. Drainage around the house allows water to accumulate near the foundation, causing the soil to expand more than normal, thus increasing pressure on the foundation. Leaks in pipes add moisture to the soil underneath the foundation causing the soil to expand and weaken the foundation. 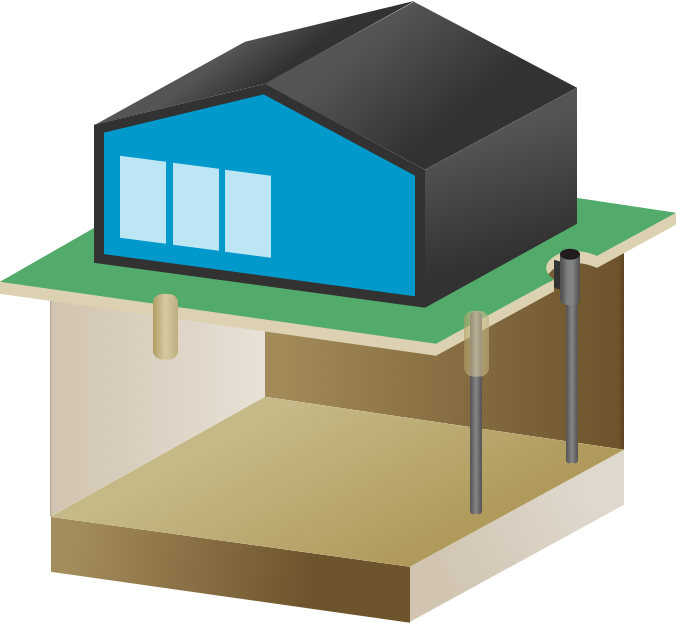 Preparing the home for Foundation Repair: The home’s foundation is assessed and the foundation is prepared for leveling. Leveling the Foundation: The steel piers are locked in to the brackets, and the foundation is lifted. The extra space around the steel brackets is refilled and prepared for a final inspection. Excavation of the soil: Small holes are dug and steel brackets are installed in the area where the foundation repair is taking place, resulting in minimal landscape disturbance. Steel Pier Installation: Solid, Independent Engineer certified, steel piers are driven through the soil and anchored to bedrock for maximum foundation stability.